Go beyond what it means to be a pet owner with FunPaw’s pet-focused products specifically crafted for pet needs and well-being. Through innovative thinking, FunPaw delivers the product and service all pet lovers need to ensure their furry friends are happy and healthy. Whether you’re portion feeding, monitoring, or exercising your pet, FunPaw has the clever solution that will put your worries to rest. Shower your pet with the love, attention, and care they deserve with FunPaw products. 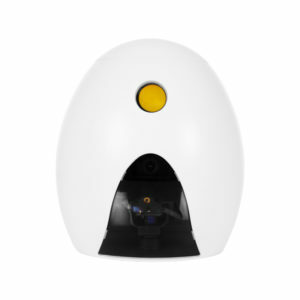 Give your pet the perfect companion with the Playbot Q, which acts as a 3-in-1 product for feeding, exercising, and monitoring your pet. Never again worry while you’re at work or family vacation. 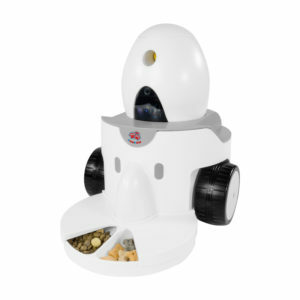 Feed your pet or reward them with a daily dose of treats with the food dispenser and snack launcher. Then, for playtime, simply turn on the laser pointer to encourage your pet to move and exercise. 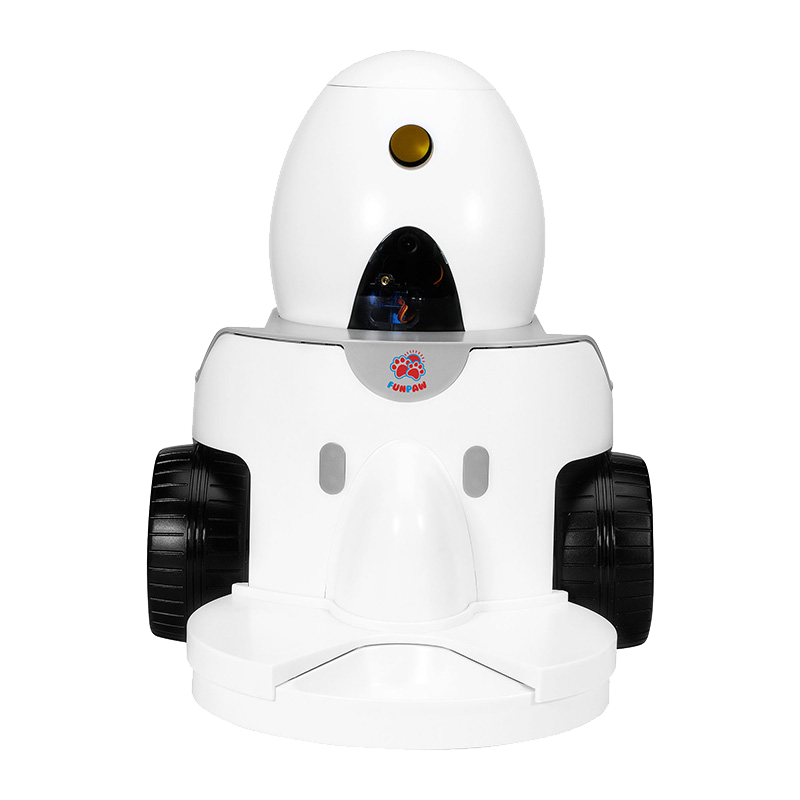 A live 720p Hi-Res camera allows you to check up on your pet anywhere in the world via the Android and iOS app. The integrated microphone and speaker allows for live 2-way audio that will comfort and assure your pet at any time. Check out all of our products’ features! Take quality photos and videos for capturing pet moments you’ll treasure for years to come with the 1 MP camera. An integrated microphone and speaker keep you connected to your pet no matter where you are. You can have 2-way chats to comfort your pet or ease your worries. Promote your pet's well-being, keep him activate with the remote control the laser pointer for playtime and exercise. Have convenient and portable access to all of the Playbot Q’s features with the app. Monitor, feed, and play with your pet anywhere, anytime. The food tray is designed with five compartments to keep different treats and food separate. When necessary, the tray can be rotated so your pet has access to only certain compartments. Set a feeding schedule for monitored and controlled meals that will regulate your pet’s intake and promote better eating habits. 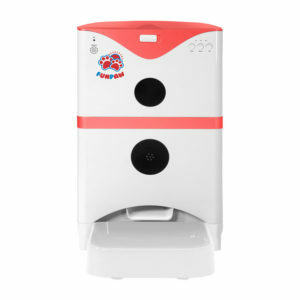 Purchase the FunPaw Playbot Q 3-in-1 pet camera, play center, and food dispenser for your trained guard dog or fluffy new kitten. Give your pet the best with FunPaw!